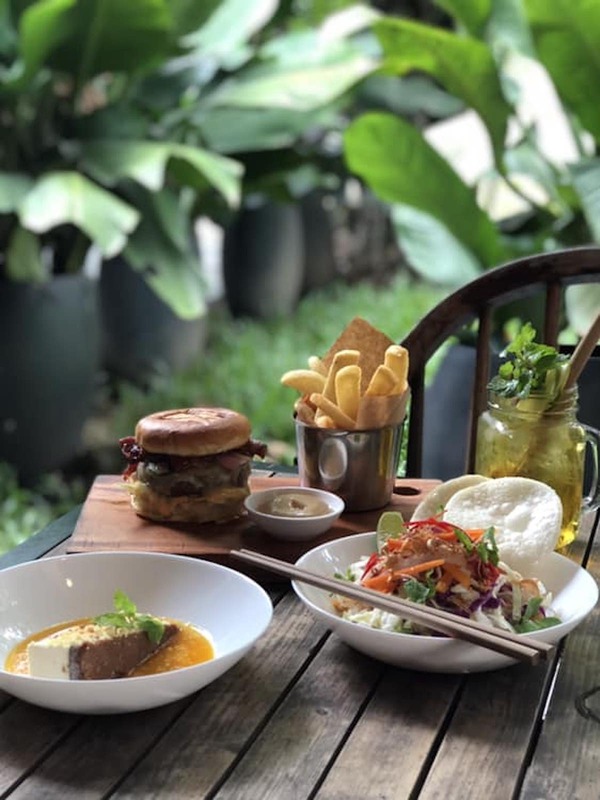 One minute we were bemoaning the lack of eating and drinking options compared to regional capitals like Hong Kong, Singapore, and even Bangkok; then the next minute the scene blew up. It felt like there were speakeasies everywhere, and international-standard restaurants redefining what Vietnamese cuisine could be. Plus there were some brands that had carefully been building momentum for a few years, and a few classics that still refused to bow to trends or changing times. The statistics back this up. By next year, the food and beverage industry is expected to feature in Asia’s top three in terms of growth. Nationwide, revenue in the food and beverages segment will amount to US $212m in 2019, with annual growth rates put at 17.2% over the next four years. Sifting through all this meant making some difficult decisions about which restaurants, bars, and brands made the biggest impression in 2018. So, for our four key awards we decided to open the voting to the public and to a hand-picked panel of twenty industry experts. 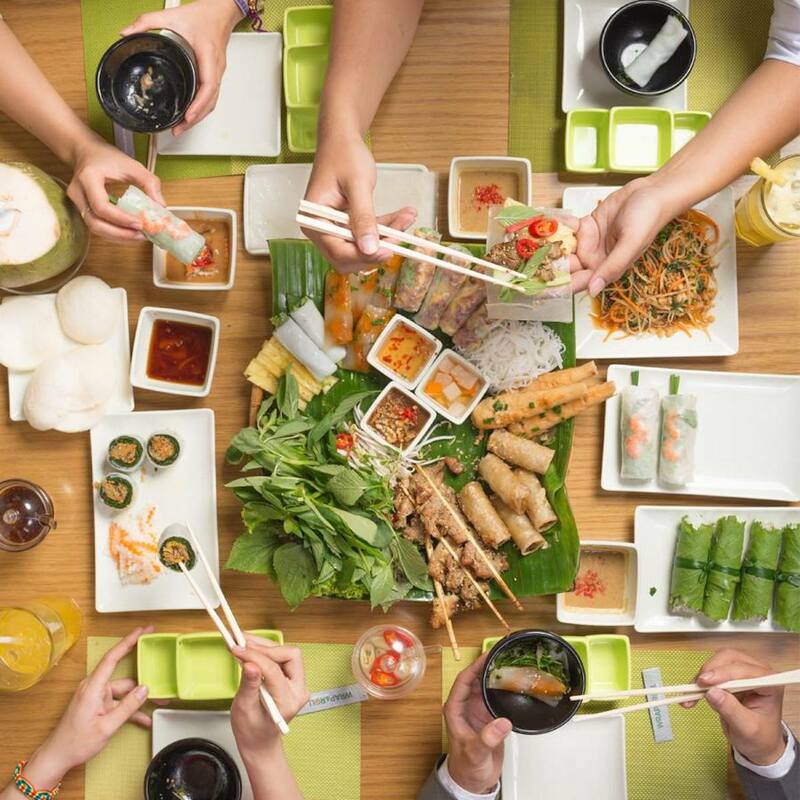 Then we asked the Vietcetera editorial team—who have been out throughout 2018 meeting, greeting, and eating their way through the city’s restaurants and bars—for their choice in our eight sub-categories. The reward? Besides the acclaim of scooping one of our inaugural awards, each of which comes with a generous gift given by our award sponsors, we have also created some custom awards statuettes in the shape of golden and silver banh mi. And so, here are the nominees, winners and runners-up and the reasons we think they received their prizes. Anan Saigon, the restaurant in District 1’s last wet market, took the Grand Jury Prize for best restaurant. Vietnamese food isn’t just blowing up internationally, it’s morphed into cuisines like VietCajun that’s received James Beard and even Netflix recognition. However, Vietnamese cuisine is still best known for pho—a utilitarian dish that doesn’t do the sheer variety of Vietnamese noodle dishes justice. With pho such a culinary staple in big cities like New York and London, it’s inevitable that restaurateurs will begin looking beyond it for more obscure dishes to emulate. And beyond that will be innovation. As inspiration, the first place they’re likely to visit is Anan Saigon—it’s certainly where you’re likely to bump into our jury members. That’s because beyond headline grabbing stories like the US $100 pho and banh mi, there is an inspired allegiance to elevating Vietnamese street cuisine by retaining everything that made the originals great while adding carefully prepared premium ingredients. Anan deservedly has taken the Grand Jury Prize. As with the Grand Jury Restaurant Award, the voting also threw up lots of interesting candidates. Japanese cuisine featured heavily, restaurants like Sushi Rei, Kasen, Kiyota, and Sushi Hung. So did vegetarian restaurants like Pi Bistro and Hum, and grill restaurants like Namo and Shamoji, and many more. Colorful Tomatito swept to victory in the online poll for the People’s Choice Restaurant of 2018 award. As with the bar awards, the People’s Choice Award Restaurant Of 2018 saw a flurry of voting. And as with the bar awards, three broke free from the pack. In fact, the polling got so frenzied we had to suspend voting and review the results to sift through repeat votes to decide upon the winners. With such a tightly contested contest, we’ve named two runners-up from opposite but connected ends of the F&B spectrum. Both Quince and Quan Ut Ut are grill kings. For Quince, it’s wood-fire licked cuts of beef, whole trout, or even cauliflower, and for Quan Ut Ut it’s low and slow American-style ribs. 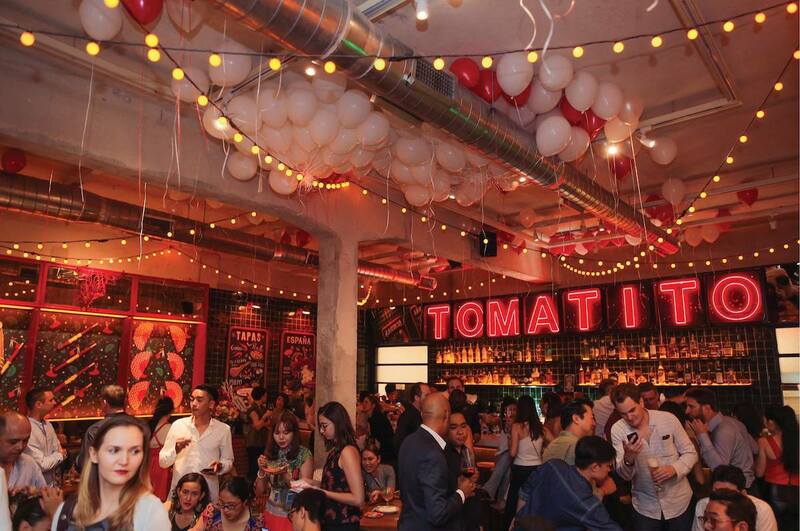 Tomatito are a different kind of restaurant entirely, one whose ingredients burst with freshness. Then there’s the decor that could easily have been kitschy, but as with everything there, it’s done with keen attention to detail. Firkin Bar, on Mac Thi Buoi, won the Grand Jury Prize for Bar of 2018, ahead of Rabbit Hole. Besides the names that kept recurring in the judges’ voting—bars like Layla – Eatery and Bar and Qui – Cuisine Mixology—it was exciting to hear other entries being cited in our judges’ top fives, places like Birdy Bar on Pham Viet Chanh, the speakeasy Kush Kush, and the shochu bar, Mangestu. And even though these smaller venues didn’t claim the award, it shows the depth of Saigon’s burgeoning bar scene. As you might expect, our panel’s choices were arguably more refined and less commercial than the public vote. Rabbit Hole, for example, opened in June with a Japanese air of cocktail-making precision. 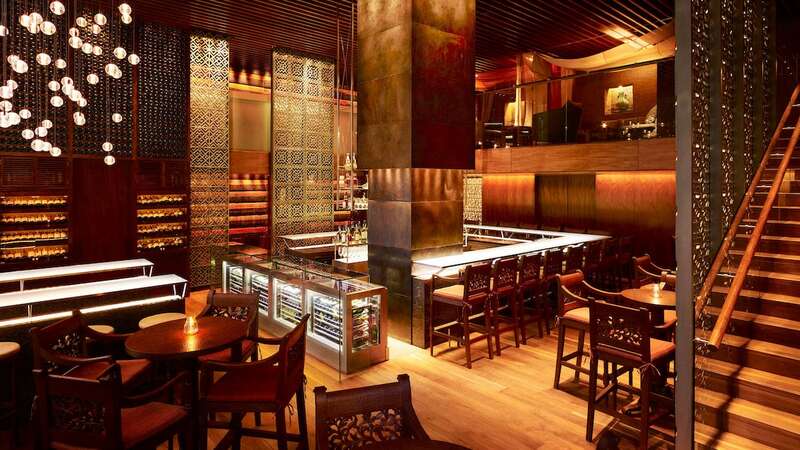 Its intimate bar seating and hushed banquettes make it the perfect after-dark spot. And Firkin Bar, our other award winner, opens like a treasure trove—all golden light and rows of gleaming whisky bottles. 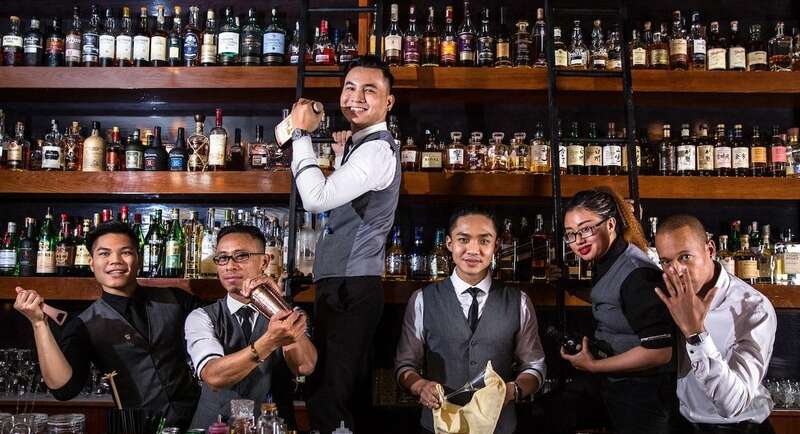 Qui – Cuisine Mixology were the joint winners of the People’s Choice Award for Bar of 2018. The people have spoken…and the response was staggering. From a shortlist of ten bars that ran the range of concepts from speakeasies like Firkin—even though they consider themselves to simply be a chic and cozy whisky bar rather that a speakeasy—classy, commercial cocktail lounges like Qui – Cuisine Mixology, underground dens like Rabbit Hole, and heritage building hideouts like Layla – Eatery and Bar, three bars captured the public’s attention in 2018. 2 Lam Son, the Park Hyatt’s martini bar had a stellar year and were joint winners alongside Qui – Cuisine Mixology. Drinking & Healing also made a huge impact this year, and claimed runner-up spot. Those bars were 2 Lam Son, the evergreen martini bar of the Park Hyatt Saigon which perhaps posted its greatest year ever with shifts from the Clumsies and Simone Caporale bookending an incredible 2018. 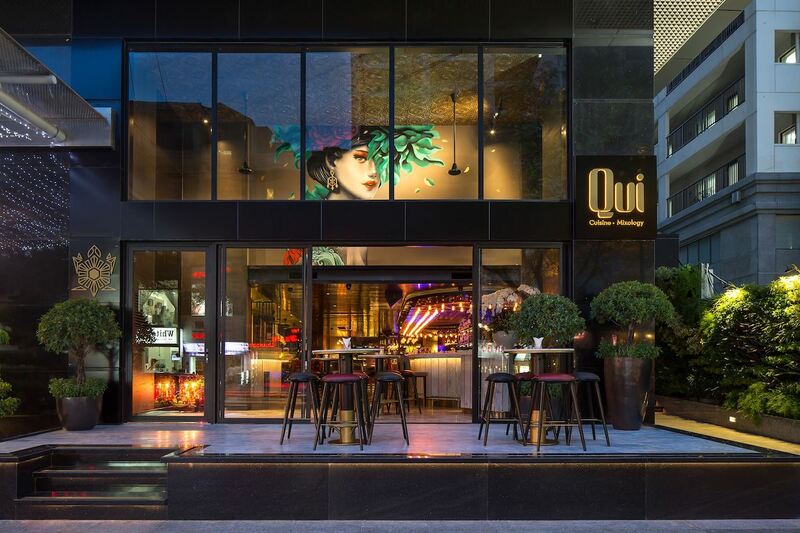 And Qui – Cuisine Mixology and Drinking & Healing—two very different bars that, in their own way, impressed Saigon’s cocktail connoisseurs this year. 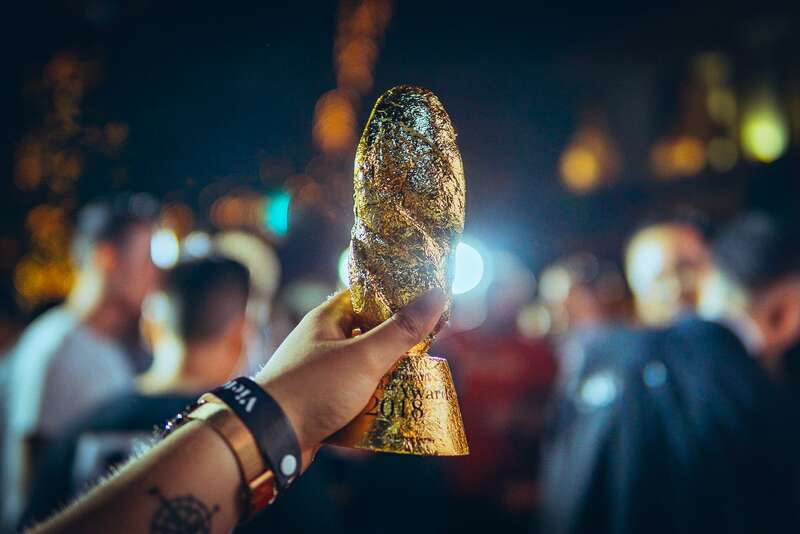 With only four main prizes, it felt right to recognize the achievements of a number of other bars, restaurants and brands, and so we asked the Vietcetera editorial team for their insights into the scene in 2018. The result was a series of awards in traditional categories like best chef but also in categories that recognize design, social impact, overachieving F&B groups, neighborhood hangouts, brands, trends, and sheer longevity in this fast-changing industry. Pizza 4P’s committment to healthy ingredients helped them to claim the Mission Impact Award, ahead of Noir. Occasionally, restaurants and bars look beyond profit and measure their social impact as well. Noir. have been doing so since day one. Of course, there’s the concept which owners Anh Tú Vu and Germ Doornbos described to us as “a uniquely mind-altering experience where smell, taste, touch and hearing unite to bring you a completely new journey of the senses.” The restaurant flips traditional modes of dependency where sighted guests come to rely on the partially sighted hosts. Considering they opened in 2014, they might also have been considered for our longevity award. Pizza 4P’s represent a different aspect of impactfulness. The pizza chain are delivering farm to table at scale. That means their safe fresh food reaches consumers at their six Saigon, four Hanoi, and one Da Nang restaurants direct from Pizza 4P’s producers who have committed to farming without chemical fertilizers or pesticides. 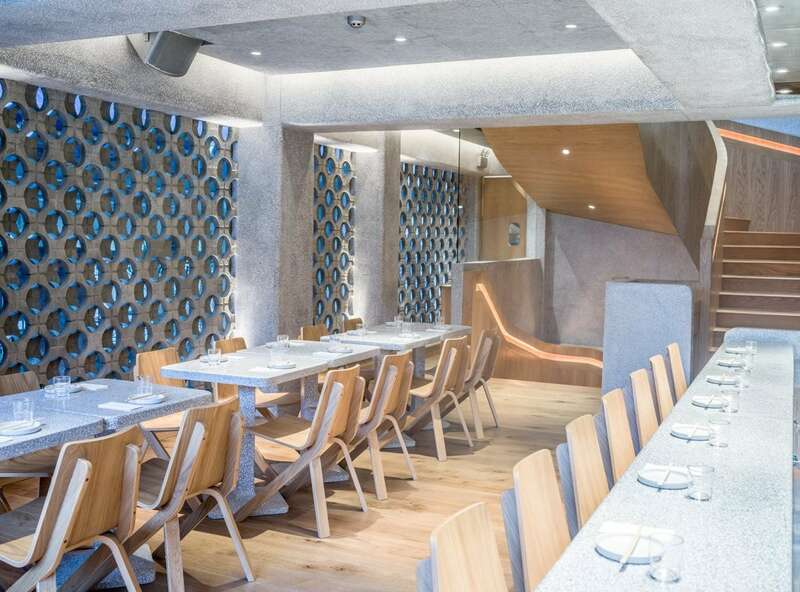 In a year when a number of well-designed restaurants and bars opened, Renkon was a stand-out. Inevitably, as bars and restaurants upped their game, they also employed better design. And with the attention of regional F&B groups came the influence of regional—and international—designers. That’s not to say Vietnamese and Vietnam-based architects and designers didn’t have a major impact in 2018. We’ve covered a number of interesting local architecture firms and projects this year, like TA Landscape Architecture, the team behind Da Nang’s Golden Bridge that became a viral sensation, and Tropical Space Architects whose work blurs the boundaries between architecture, sculpture, and art. But the impact of designers like Hong Kong-based Sean Dix was tangible. His work on Renkon was some of the boldest design work yet. There’s the curving staircase that turns dead space into a design statement, the custom breeze block walls, and the Masami Teraoka mural. Then there was the work of Japanese architects like Shunri Nishizawa for Pizza 4P’s Ben Thanh and Hai Ba Trung restaurants. His borderless design for the Ben Thanh venue was particularly impressive in the way it respected the hundred-year old history of the building by stripping it back and then seamlessly building in glass-jalousie partitions and windows that dramatically framed the market area. Red Wok took the Most Overachieving F&B Group Award ahead of Tribe Hospitality. Tribe Hospitality were one of the first to deliver on cuisine and concept. Like at the Racha Room, the modern Thai dining room and bar overlooked by that iconic graffiti elephant. With Firkin Bar they’ve continued to expand while doubling down on quality. In January 2018, Red Wok announced their investment in the Quan Ut Ut chain—that includes BiaCraft—because of the brands’ “strong potential for developing nationwide.” It was a shrewd move. Since then, Quan Ut Ut and BiaCraft have demonstrated their broad appeal to Saigon’s consumers. 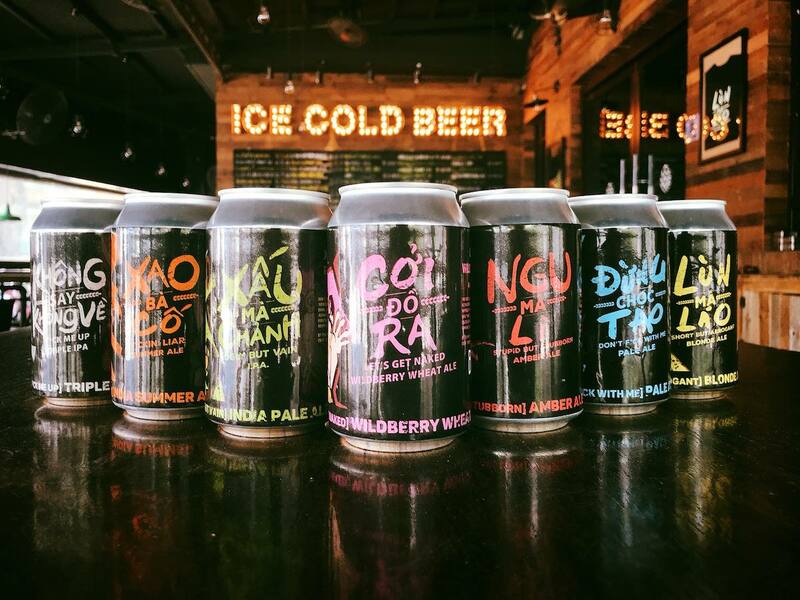 For BiaCraft, their Xuan Thuy tap room is packed daily with expats, while over on Truong Sa it’s predominantly Vietnamese enjoying their beery bites while emptying their craft kegs. Quan Ut Ut ventured out to District 2 as well, and into District 7 with tweaks to their menu to fit the new locations. MAD House in District 2 distills everything good about the neighborhood into their restaurant—overhanging trees, lazy acoustic sets, and casual dishes and drinks. As District 1 rents rise, bar owners and restaurateurs are opening venues on the fringes of the central business district—in Da Kao, or Thao Dien, or in between, along Pham Viet Chanh, and even in the original Japanese enclave among Le Thanh Ton’s maze of alleys. 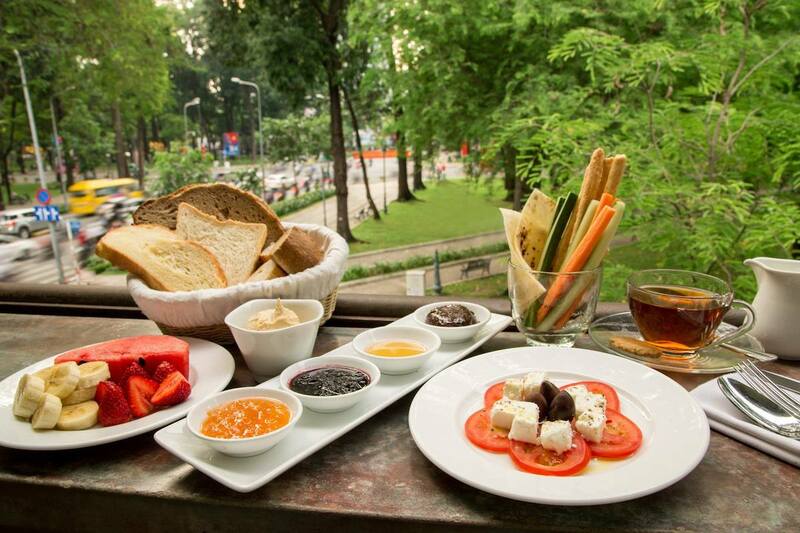 All this means Saigon’s neighborhood scenes are booming. There was a time when nothing quite worked along Xuan Thuy in District 2, for example. Now the street is littered with great spots like District Federal, Quan Ut Ut and BiaCraft, and 86 Proof whisky bar. Or MAD House, a few streets over on Nguyễn Ư Dĩ behind the Juventus Football Academy. Its owners headed to the quieter environs of District 2 after helping to build the reputation of the institution that is Chill Skybar. MAD—which means food in Danish—distills everything that’s great about tropical Thao Dien into a casual eatery. There’s overhanging palms trees and acoustic sets on the deck, and some great comfort food and well-chosen wines. Then there’s places like Khoai that almost defy description. Inspired by the ramshackle ruin bars of Budapest—where the owner, Nguyen Thanh Hai, spends much of his time—Khoai is packed most nights (as is another bar across the street commended by our judges, Birdy Bar). It’s one of a number of reasons to venture out to this enticing hood. Au Parc is still a go-to for locals and tourists fifteen years after opening. Hyping a newly launched restaurant or bar is easy compared to staying ahead of the pack five, ten, or even fifteen years after opening. That couldn’t be more true in a city with a F&B landscape that’s changing as fast as Saigon’s. Remarkably, a number of restaurants have achieved it. Similarly, a few years before the opening of the Refinery, the building that today houses buzzing Au Parc was a residential property—in fact the whole street was residential. That was until 2003, around fifteen years ago, when Au Parc opened its doors. Today, more visitors than ever are drawn to its tranquil views of the park and its carefully prepared Mediterranean and Middle Eastern cuisine, good affordable wines, Italian coffee and freshly prepared juices and smoothies. BiaCraft are key players in the booming local craft scene with five locations in Saigon. That people queue patiently outside on a set of stools kindly set on the street is a sign of Baozi’s success. But even though everyone, it seems, loves a pork bun—those fluffy pull-apart white parcels of sweet, slightly charred BBQ meat—that isn’t a guarantee of success. Fortunately, founder Chris Huynh brought insights from his Hackney bao concept with him. With two venues already, and those queues, Baozi Saigon looks set to take off. BiaCraft are a little ahead in their empire building. Their latest venture, BiaCraft Nam Ky Khoi Nghia broadened their already expansive customer base to include tourists sweatily traipsing to and from Ben Thanh Market. And they’ve achieved it with soul food, craft beers, and a rakish attitude towards the names of their brews and their food. 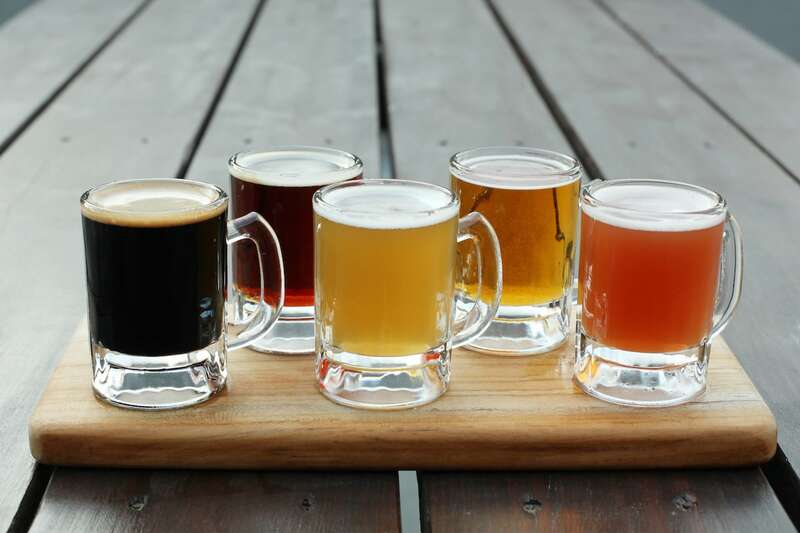 Cocktail bars, Spanish tapas, Japanese and new Vietnamese cuisine all made a big impression in 2018, but undoubtedly it was craft beer’s year. 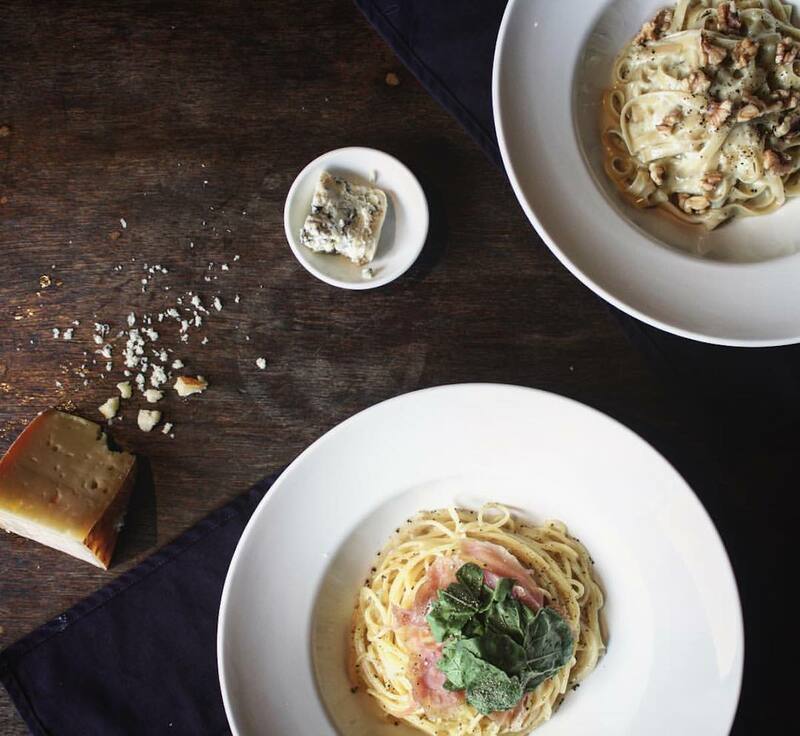 With such a fast-growing F&B scene, naturally trends are emerging at the same time. Some are distinctly local—like the boom over the last few years of craft breweries; others mirror global and regional trends like the explosion in bars that incorporate local ingredients into their cocktails—like inspirations like Native Singapore, whose curious cocktails we tested out in June. When we interviewed craft beer “Jesus” Greg Koch recently he told us that: “This is a time that will be remembered forever [in Saigon]; it’s kind of a magical time.’ And he was right. East West Brewing Co. pack out their rowdy cavernous brew house, BiaCraft are expanding rapidly, Pasteur Street continues to build more taprooms across the city, LAC is just starting their first, Heart of Darkness continue to innovate, Rooster Beers and Platinum continue to stretch their beers across the city and not just District 1, and you can even buy your Tê Tê White Ale in Circle-K. That means 2018 really was the year of craft beer. 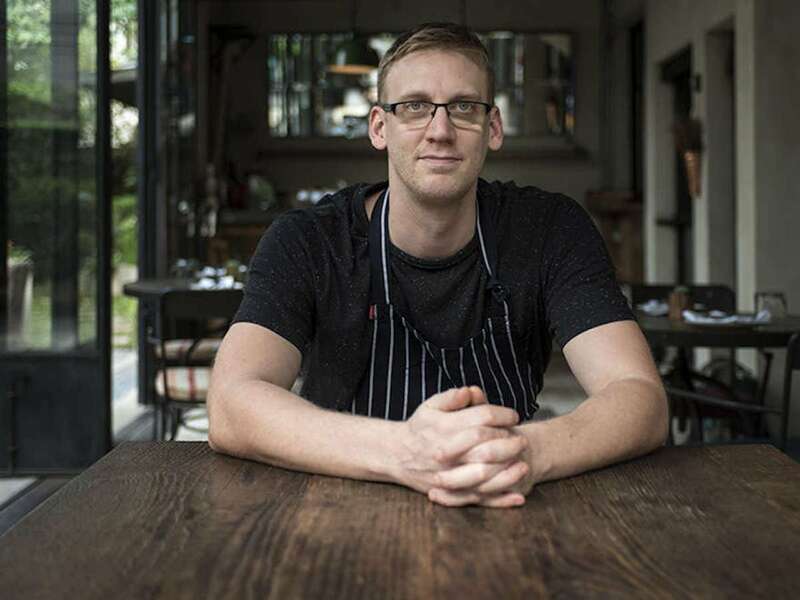 Julien Perraudin took the Chef of 2018 Award thanks to his dishes served with a flavorsome lick of wood-fired heat and smoke. Locally, the emergence of “new” Vietnamese cuisine with restaurants like Luke Nguyen’s reimagining of Vietnam House on Saigon’s Dong Khoi, and regionally, the popularity of wood-fired grills, like Burnt Ends, Singapore—which we visited earlier this year and which has since picked up the award Asia’s tenth best restaurant—were two distinct trends of 2018. So, it’s the chefs of two restaurants that are not simply following those trends but elevating them locally that have taken the top prize and runner-up prize for Chef of 2018 by Opla. 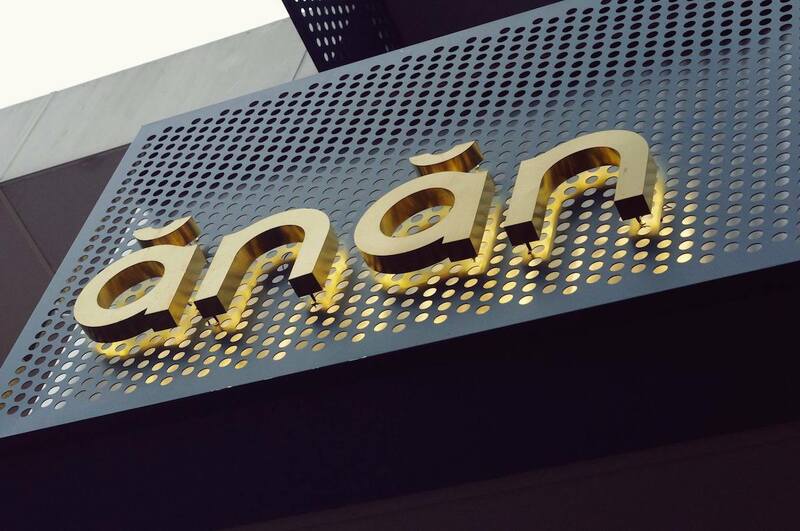 Interestingly, both chefs and restaurants have invigorated quieter corners of District 1—for Peter Cuong Franklin’s Anan it’s the city’s last centrally located wet market whose street food inspired a number of the dishes served there. And for Julien Perraudin it’s the industrial end of Ky Con Street where dishes served from the open kitchen receive a flavorsome lick of wood-fired heat and smoke.